Thanks to Augustine hope and despair have been on my mind. In the wake of the recent events in Ferguson, I’ve had many thoughts about all if it. Like most people I’ve read lots of musings on the situation, some of them good and some not so good. I find that most commentators hit one aspect of the situation. That is okay as long as we don’t expect them to speak exhaustively. As I’ve turned this over in my mind I see so many angles to it. On Sunday I used Isaiah 9:1-7 for my sermon text. I’d already planned on that text well over a month ago. It proved very appropriate in the wake of a week like last week. The Light arrives in the midst of darkness. Here we see the darkness of injustice and oppression. The Son of David would come to end injustice and oppression. His reign is one of justice and righteousness. We who are Christians affirm the NT teaching that this child is Jesus the Light of the World and the Son of David who sits on his eternal throne now. Scripture and history point us to an already/not yet understanding of this text. Jesus has already come to redeem His people. Jesus already sits upon the throne. Jesus has not yet removed all injustice and unrighteousness. That awaits His second advent. The kingdom has been inaugurated, continues and awaits consummation or completion. Nothing, it says, is outside His control even though it may not look like it. There is still rebellion within His realm. Remember, we were numbered among the rebels. It was His role as the Lamb of God that removed the guilt of our rebellion. We, too, deserved the just wrath of God for our part in the unrighteous and injustice of the world. Those who suffer injustice often respond with injustice and unrighteousness as well. There is a dark, vicious spiral involved. It requires the grace of God to break it. First He breaks it in individuals. Those individuals can work to break it in society by seeking just laws or enforcing just laws. Those who have been oppressed need to share in the power, not to bring an opposite form of oppression but pursue righteousness and justice. We see that God is working out a number of purposes, seemingly in conflict with one another. He is bringing grace to some of the oppressed and oppressors. He is showing justice to some of the oppressed and oppressors. He is working out judgment and salvation, as well as guiding His people into righteousness all in the midst of the darkness of this world. Many of us see this and are tempted to despair. We see these eruptions of injustice and violence and fear that we’ve made no process. Despair can kill us. We can give up and just let the situation continue unabated. We can give up in a deeper sense and either forsake the truth or fight the monster and become the monster in the process. There is some cause for despair, in a good and not giving up sense. While we have been justified, Christians are not fully sanctified.This means we still sin. We still have blind spots (race issues can be one of them!). The gospel has already begun to transform us into the image of Christ but has not yet finished its work. Let each of us go on, then, as our limited powers allow, without departing from the path we have begun to tread. However haltingly we may travel, each day will see us gaining a little ground. So let us aim to make diligent progress in the way of the Lord, and let us not lose heart if we have only a little to show for it. For although our success might be less than we would wish, all is not lost when today surpasses yesterday. Only let us fix our gaze clearly and directly on the goal, trying hard to reach our objective, not fooling ourselves with vain illusions or excusing our own vices. This sentiment found its way into the Heidelberg Catechism. If we cannot act with perfect righteousness and justice how can we expect an unbelieving world to do so. So, we should despair or give up hope in human governments accomplishing this. As Isaiah 9 notes, only the zeal of the Lord will accomplish all this. 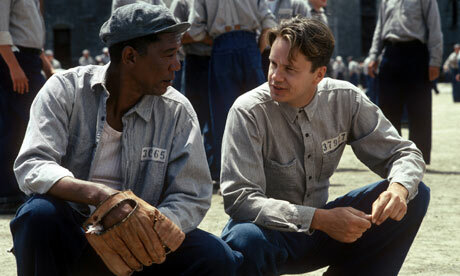 Hope, as Red noted in The Shawshank Redemption, is a dangerous thing. If our hope is in earthly perfect apart from the return of Christ, we will experience the bad form of despair that resorts to resignation or violence. Let us set our hope on God’s promises to be fully accomplished upon the return of Christ. This hope can sustain us in the midst of the continuing darkness. It also helps us to rejoice over the modest gains as we see people exhibiting righteousness and justice. We need to remember that God works on the behalf of those who wait for Him. Such waiting is not passive. For instance, William Wilberforce longed to see England free of slavery. He worked for years, first to end the slave trade and then to end slavery. It took decades, and many setbacks, but he saw God bring this about. Yet there was still much work to be done in the human heart which is “naturally” filled with evil and inclined toward unrighteousness. Righteousness and justice do not come easily or quickly. It times waiting for them feels like we are dying. We want everything to change now. A rightly understood hope enables us to wait. And suffer while we wait if need be. Peter, who watched Jesus suffer unjustly, suffered unjustly. We do well to receive his counsel to the early Church. If we suffer we should entrust ourselves to our Faithful Creator and Redeemer. Instead of a useless rage or foolish resignation, we trust. As we trust, we continue to do good. Doing good can have many faces. It includes forgiving those who acted with injustice. This prevents bitterness from growing and corrupting your response to injustice. It includes helping those who have been harmed by injustice. You can help them pick up the pieces of their lives. It can mean running for office or seeking a promotion that enables change. Let us remember that there is a despair and a hope that can kill us. There is also a form of despair and hope that can grant life as we lean upon Christ. Systematic Theologies are not the most exciting reads. Joshua Harris seeks to change that with his book Dug Down Deep: Building Your Life on Truths that Last. This is a systematic theology for the average person. Harris sticks to the essentials: doctrine of God, Christ, the Spirit, Scripture, Salvation, Sanctification and the Church. For the most part he avoids controversial areas, though for some the essentials of the Christian faith can be controversial. One thing that sets this apart from most (not all) books of this kind is that theology is not seen as abstract. He begins with the notion, similar to John Frame, that truth is to be lived. It is a foundation for our lives, providing stability in the storms of life (as Harris notes from the end of the Sermon on the Mount). Another thing that sets this apart from just about every systematic theology I’ve read is the use of narrative to explain or illustrate the importance of particular doctrines. It is similar to the work his friend Don Miller has done, but not nearly as funny. He even has a few hand-drawn illustrations in his section on sanctification. So this is far more interesting than Berkof or just about any systematic theology.